It’s best to call the hotel directly so we can provide personalized service and ensure that your specific needs are met. 1-800-525-7011. 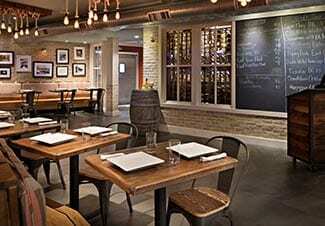 Online reservations are also available. How do I reserve a day at your Beach Club? Our Beach Club is open to both guests and the public. 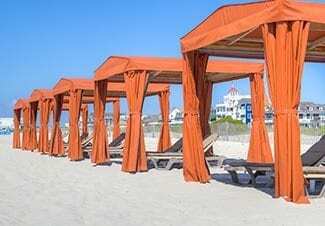 Chair, umbrella and cabana rentals are available on-site. 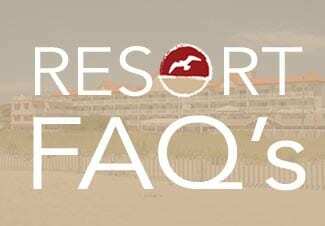 You can reserve your day(s) in advance with a guest services agent by phone, in person, or on the day of your beach visit. We encourage everyone to try our Beach Club while they are with us – it’s the ultimate beach experience! 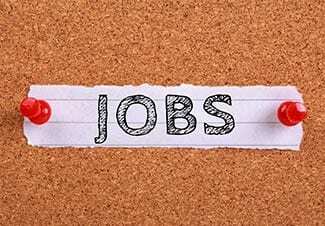 Do you have a restaurant/liquor store onsite? 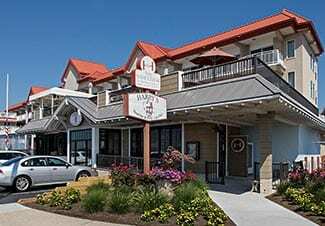 Our on-site restaurant, Harry’s Ocean Bar and Grille was completely renovated in 2016. It has an amazing rooftop deck with panoramic ocean views. 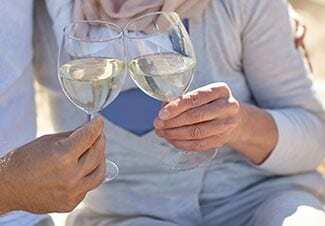 We also offer the only oceanfront liquor store in Cape May – The Wine Cellar at Harry’s. 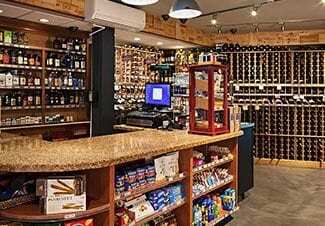 The Wine Cellar offers a wide selection of wines, liquors and beer. Both businesses are open from May through October. Do you offer hotel room service? We do not offer hotel room service. 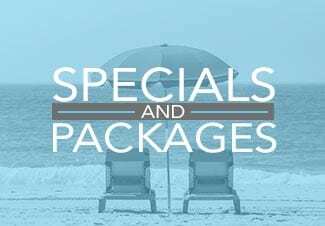 However, our staff at Harry’s Ocean Bar & Grille will deliver anything on our menus to your hotel room. Just call (609) 88-HARRY to order. Our standard check-in time is after 2 p.m. and check out is at 11 a.m. Early arrivals can check in and use the facilities. You can also grab a meal or drink in our restaurant. 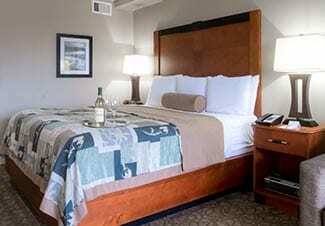 Ocean lovers can relax on the beach, or explore beautiful Cape May New Jersey. We will call your cell when your room is ready. What are your age and check-in policies? You must be at least 21 years old to reserve a room and/or stay at the Montreal Beach Resort. (Persons under 21 must be accompanied by an adult.) A valid government-issued photo ID must be presented upon check-in. Sorry, but we do not allow pets in the guest rooms. We want to ensure that all guests at the Montreal Beach Resort are offered the cleanest, allergen-free environment possible. Do you allow smoking in the rooms or anywhere on your property? All hotel rooms are smoke-free. There are designated areas on the property for smoking. Please ask guest services for specific locations. Yes! Wi-Fi is available throughout the resort. Please ask a guest services agent for the password. Can we bring our bicycles with us? Yes! We recommend it! We have plenty of bike racks, and Cape May is a very bike-friendly town. How close are you to Cape May’s attractions and shops? 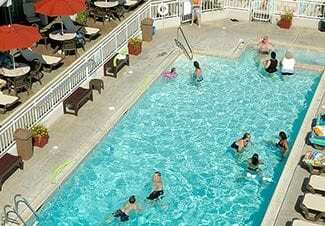 The Montreal Beach Resort is conveniently located just minutes from the Washington Street Mall and area shopping/dining. We encourage our guests to leave their cars at the hotel and walk or take the Cape May Trolley (available seasonally). Do you have an exercise facility on premise? Yes we do! Equipment includes a treadmill, recumbent bike, elliptical, and weight machine. What are the cross Streets for the Montreal Beach Resort? Avenue – directly across the street from the beach. What’s the music, theater, and nightlife like in Cape May? 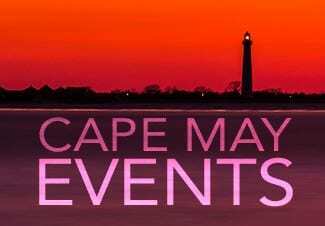 There is so much to experience in Cape May – day and night. Ask our guest services agents for suggestions. 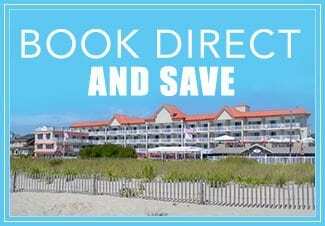 You may also email us for details at reservations@montrealbeachresort.com or call (800) 525-7011. 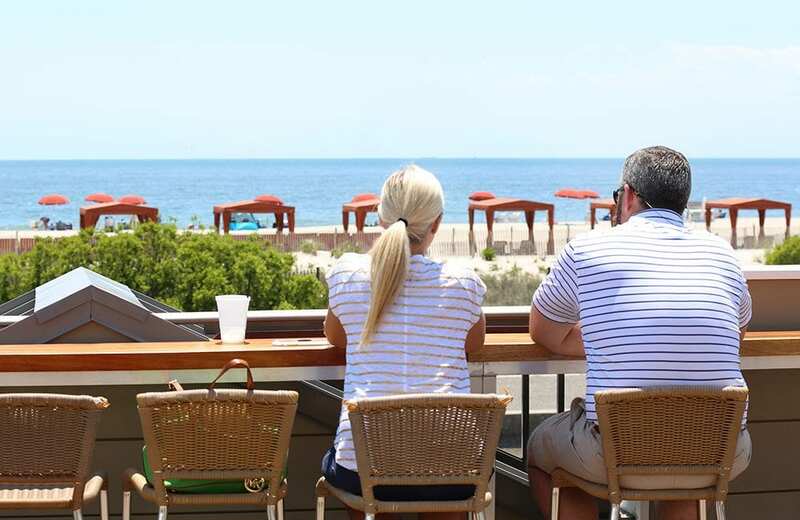 Harry’s Ocean Bar & Grille also has great local musicians playing at our rooftop deck three to four nights a week. I want to celebrate a special occasion. Can you help? 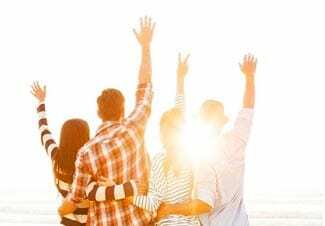 Whether it’s a birthday, rehearsal dinner, baby/bridal shower, wedding anniversary or any reason you might have to celebrate, we can help make it memorable. 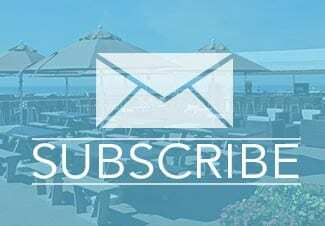 Please call our General Manager at (800) 525-7011 for more information on special events. 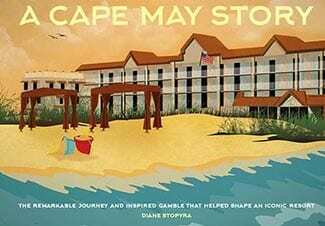 How do I purchase the book “A Cape May Story” which was written about your hotel’s family ownership over the past 50 years? Buy the book online here! You may also buy it at our front desk or by calling us at 800-525-7011.